duguy182's review (This content has been automatically translated from French)" The solid and heavy"
Super well built cabinet (like a tank) in birch wood for a great blow, the finish is exemplary and just open the cabinet to realize. Sound great but I would have liked a mixture of two different hps v30 rather than two, so I put a G75 instead of a v30 and it sounds even better. Only flat, weight and small wheels but not without all the baggage that we would not these beautiful big sound and well defined bass. So a speaker close to perfection. I have a vintage 2x12 cabinet Harley Benton 30 Thomann past few years. And using for the first time the orange speaker on stage last night with my amp settings unchanged from the HB cabinet I had the good surprise to hear my bass player exclaim "What is Hého of these low phew there? frequencies is MY! ". 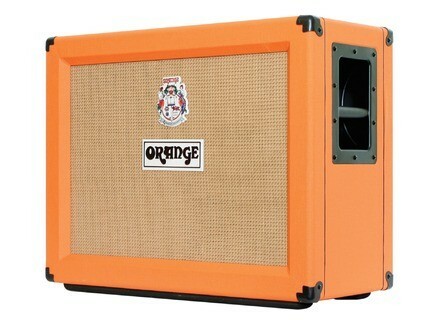 I had not had that since I have my heavy too bulky and too heavy 4x12 marshmall. With the baffle HB my bass setting was based on my amp can have a few bodies in the sound, keeping the volume of both speakers is different, there are more bass ... Yum! Note: I have a 2009 limited edition version in white. It's beautiful, but very messy ... And then it's bulkier than HP speaker (for the same weight). It would be perfect with a toggle switch for the stereo. I think I could résumé Previous by copying which, although fun is more than vridique! <span class="currency_converter_text">Then I plug the whole and the two things I do not need one more with the wood cabinet that sends .. My God! Cry 2 V</span> <span class="currency_converter_link" title="Convert this Amount">30</span> <span class="currency_converter_text">(a, as we know). For break, see tip.</span> But no problem, it is the beginners, this is normal. Nevertheless, I recommend the beam blocker for better dissemination tubetown.de .. It's basically a nicely finished cabinet trs, sturdy and is a pure joy at her. You will see that HP are not all in one cabinet. If you do concerts, you want her to have something good without dbourser too, I can highly recommend it because it is a must, you will not find anyone who spoke ill.
Blah blah blah ... you'll understand that it is THE speaker! 10/11/09 EDIT: After a few hours of play, I found his a fat ... what a pleasure! Going straight to the point: this cabinet is extraordinary in the sense of the word. Before testing the PPC 212 ... And then I realized that hp are not all in one cabinet, it is not a simple "box". Try and see ... Everything else is bland .. This baffle to performance and dispersion extraordinaires.Les bass are deep and not drooling, treble chiseled, mediums warm, the balance of it all perfect. This may not remonstrate complex in many of 4X12 marché.On out of the mix without any effort. Obviously, with an Orange head, the sound is typed vintage british and ... Orange! Otherwise, it's built like a tank (not plywood, chipboard even less, but birch please ...), it weighs 35 kg (I hastened to add him four large wheels) and the finish is just perfect .. As for the look "so British", I love .. It's expensive, but the speaker is often the weak link in the gear of musicians and it is a mistake. 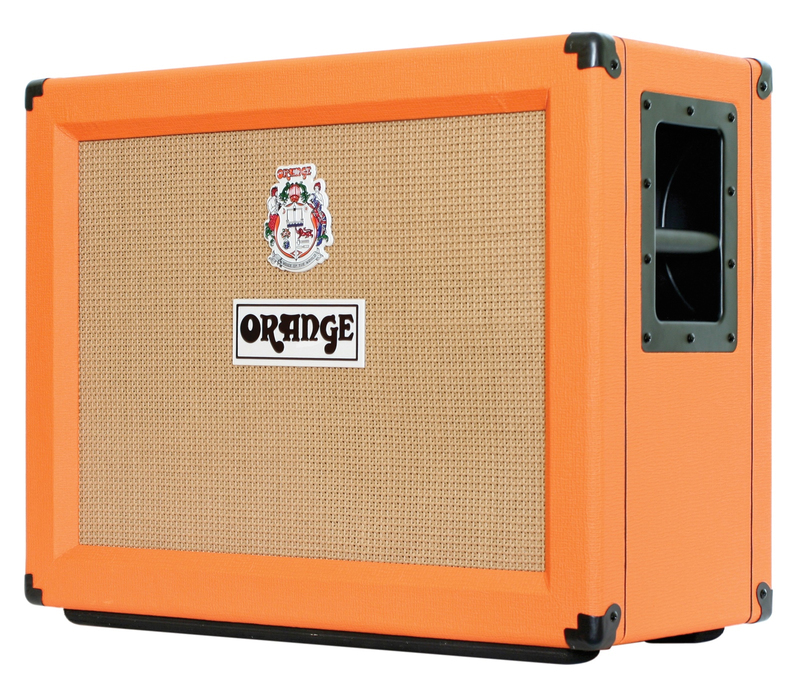 In short, the PPC 212 is the Rolls Royce of 2X12 cabinet. The quality of sound, good compromise between size and quality. Pair with an Orange HTC30, adpote! A bit of everything, but the best c'tait. Having the head office over the 1500 euros it can be said that the report was excellent.